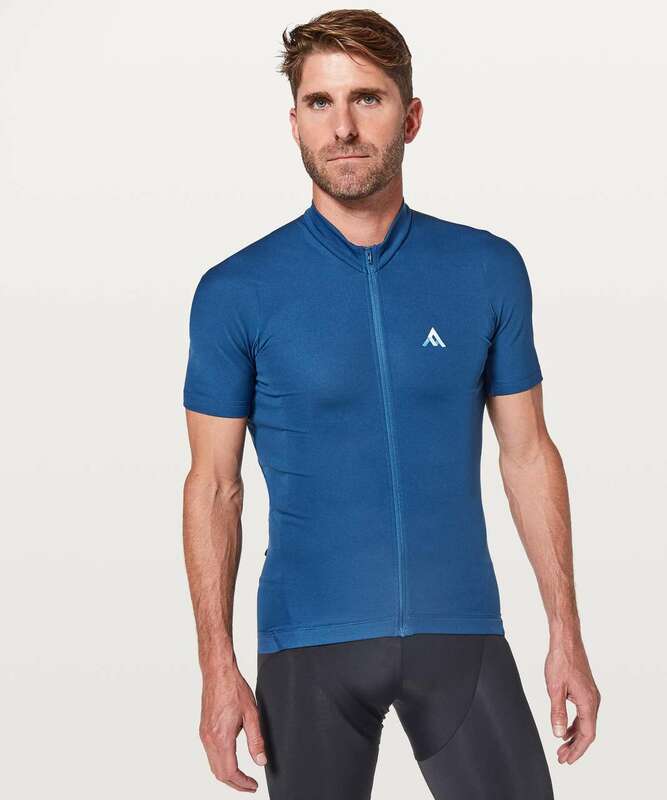 "This full-zip riding jersey doesn't comprimise on the rider's trifecta of essential features—comfort, stretch and lightness—making it perfect for road and cross-country mountain bike missions to commuting and touring. It's designed specifically for the riding position and has 5-pocket storage system to hold your essentials. 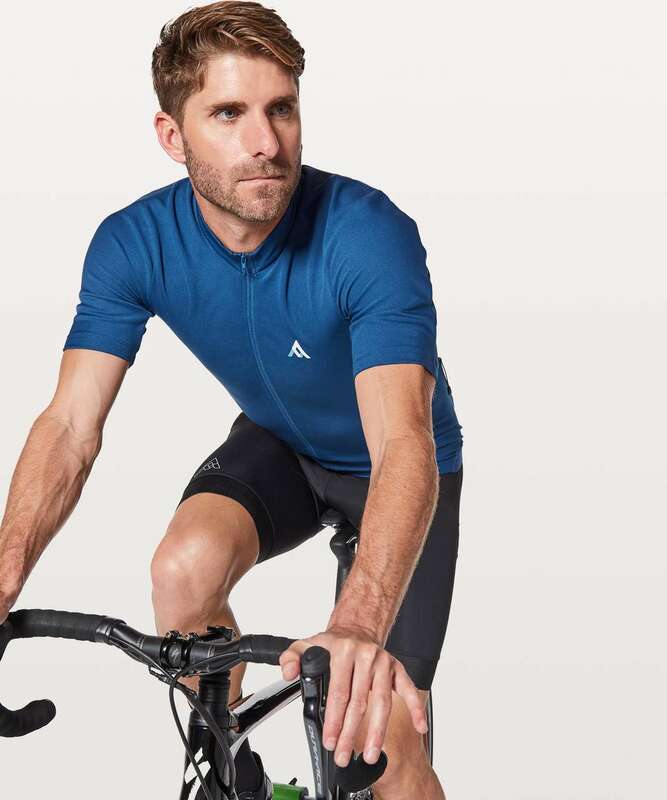 The model is wearing a 7mesh size small and wears a size medium in lululemon." This fabric provides what you need, when you need it. 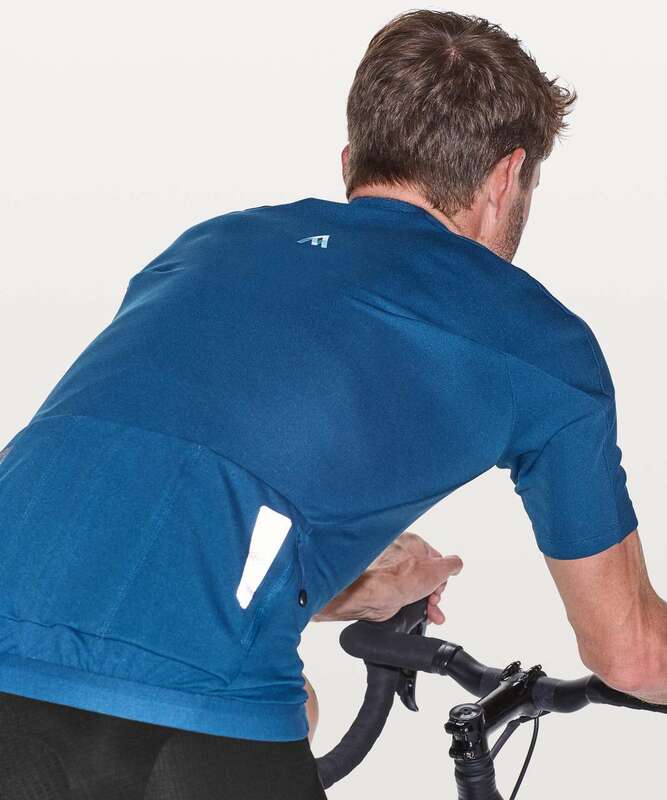 It's airy and breathable, keeping you cool and comfortable during hot summer rides. 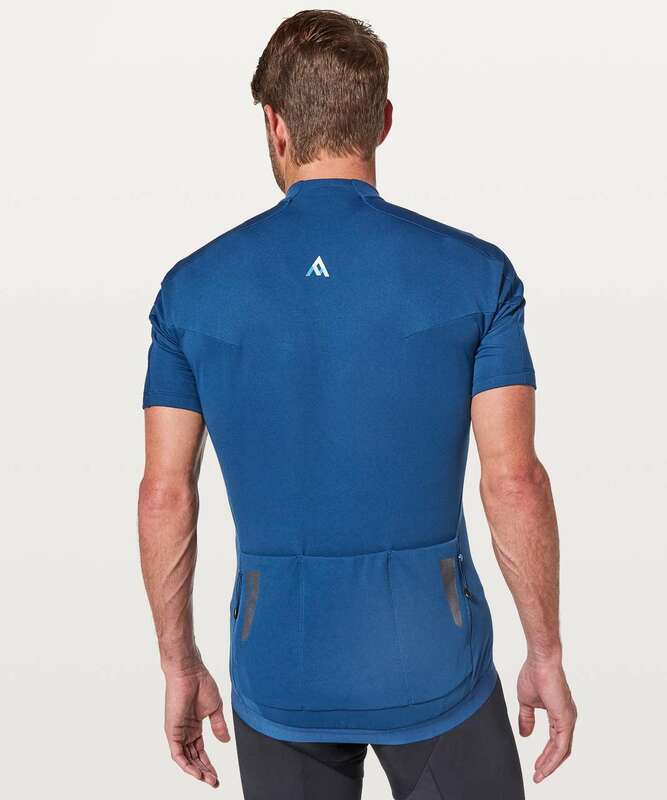 It doesn't hold onto moisture, so it won't get weighed down by sweat and keeps you feeling dry and warm when temperatures cool off. 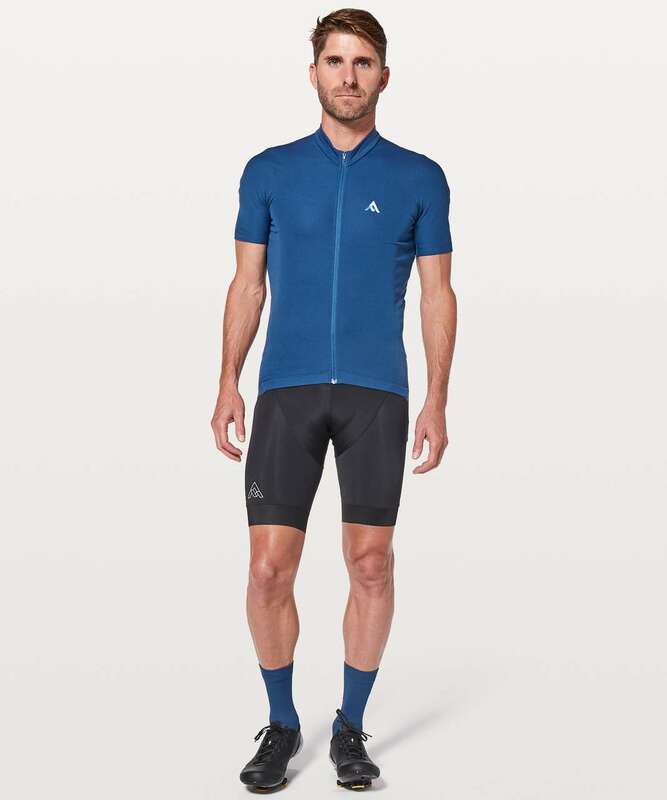 The asymmatric knit provides great horozontal stretch and limited vertical stretch to prevent pocket sag.